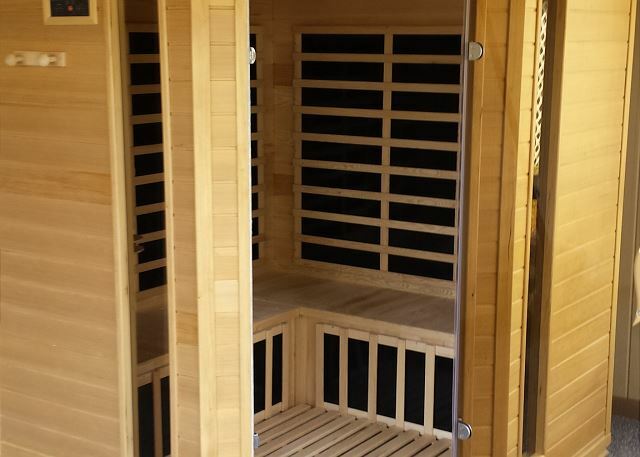 Brand new 3 person sauna! 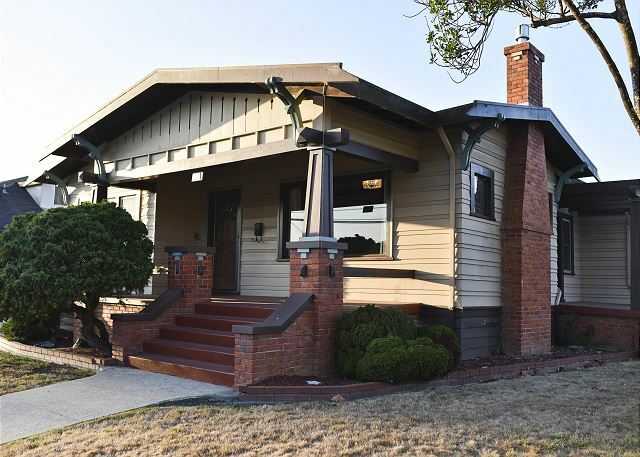 Classic Craftsman in Downtown Arcata by HSU- 3 Bdrm/2 Bath with Master bedroom & bath. 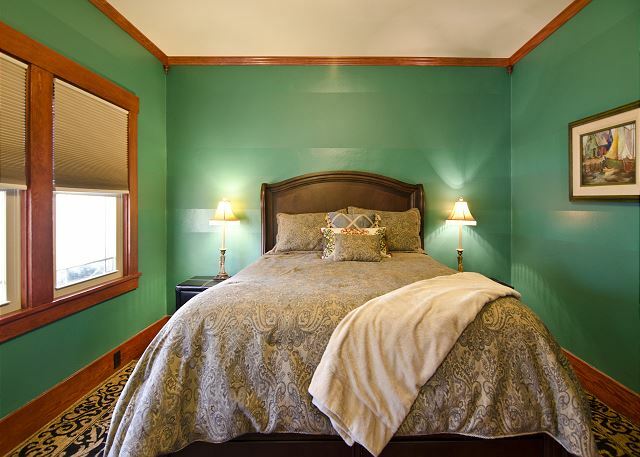 Sleeps 6 w/ Hot Tub, Sauna, Game Room, Sun Room, Formal Dining Room, Living Room w/ Gas Fireplace, Inviting Porch, Gated Yard. Wonderfully Restored, Clean, New Interior. Perfect for a family, extended family, or a friend's retreat! 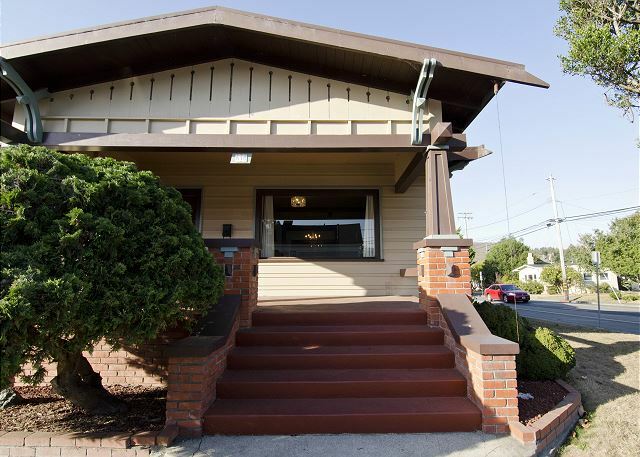 This beautiful home is perfectly located for you to spend a day walking to everything Arcata has to offer you would like, including just one block from great restaurants and a few blocks to shopping, the Arcata Plaza, bookstores, outdoor cafes, and just about everything else you can think of ! And, of course Arcata's Community Redwood Park, with a playground, giant lawn for relaxing or throwing the frisbee, 18 hole disc golf course, many miles of trails, is just a ten minute walk from the house, and you pass right by Humboldt State University on your way, just 3 blocks from where you are staying. Arcata is a great central location for exploring the Redwood Coast - about 40 minutes north to the Redwood National Park @ Prairie Creek, passing the majestic Humboldt Lagoons on your way. You can also head 10 minutes south to Eureka's old town and boardwalk, Sequoia Park & Zoo, or just a few minute drive to our many beaches, and don't forget a day trip to Victorian Village of Ferndale. After all of these excursions, you will appreciate the wonderful vacation Classic Craftsman Vacation Home you are returning to with a nice size eat-in kitchen,spacious and comfortable living room with a fireplace, or sitting out on the porch or sunroom...The game room is fun for kids of all ages as well! Or, walk a few blocks and catch a movie to at the Historic Minor Theater, or catch the latest band at the Arcata Theater Lounge. Thank you so much for staying at Classy Craftsman! We are so glad to hear that you loved it. It is such a great accommodation in a great location. We Look forward to your Return! I have not stopped thinking about this house since we left. The beds are big and comfy. 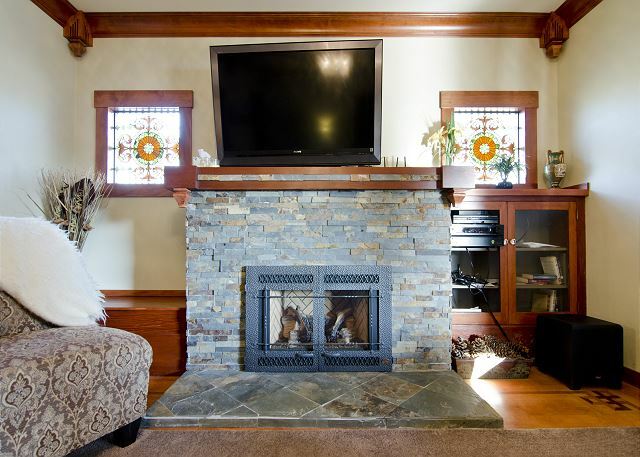 The location is perfect access to Arcata. We would love to have you back to Classy Craftsman. 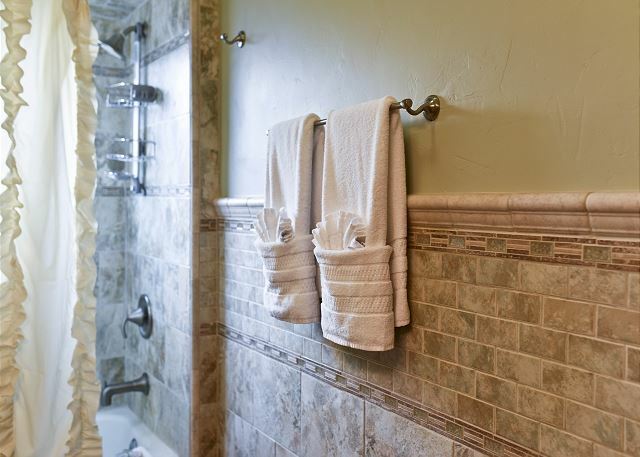 With extras such as hot tub and sauna, this is the perfect home for exploring Arcata and environs beyond, and coming home to relax in the tub at the end of a day spent exploring. Our farmer's market is not to be missed, and runs every Saturday on the Arcata Plaza, nearly year round. Thank you for leaving us a review, we really appreciate you taking time to leave your thoughts. Very clean and very homey place. Great for 4 to 5 people. Easy walk to the square. Thank you for taking the time to leave a review of your stay at Classy Craftsman! 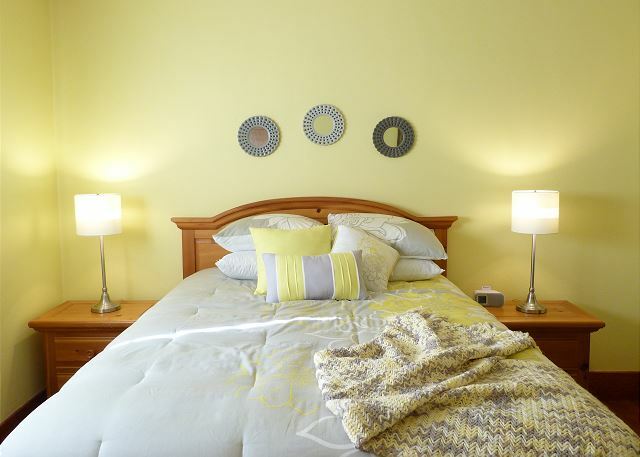 Perfectly located near the heart of downtown, it makes trips to the plaza and shops just a short walk. The hot tub and sauna are a nice addition to the property as well, makes for a very relaxing stay. Please look us up at Redwood Coast Vacation Rentals when planning your next trip to the North Coast. Thanks again for the review! We had a very lovely three day stay here-- just about everything was perfect. 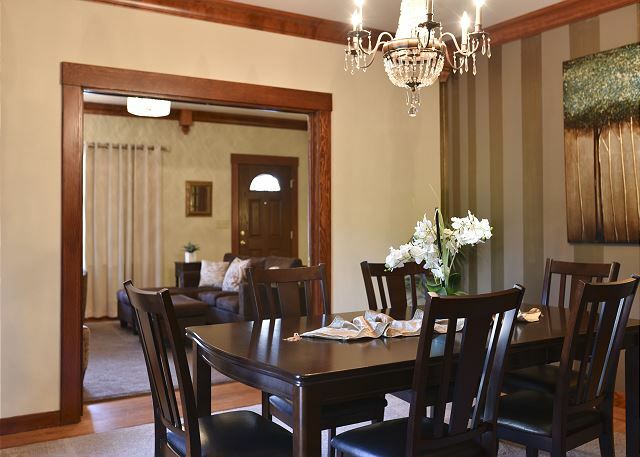 The home is gorgeous-- absolutely fabulous woodwork and furnishings. Thank you for taking a moment to leave a review of Classy Craftsman, we really appreciate feedback. We would love to have you back again anytime, please look us up at Redwood Coast Vacation Rentals when planning your next trip to the North Coast! And we love this property too, the hot tub and sauna make for a perfect ending after a long day of exploring the many trails and forests we have an abundance of here in Humboldt County. Thanks again for the review! It was the perfect house for us, We loved staying there. 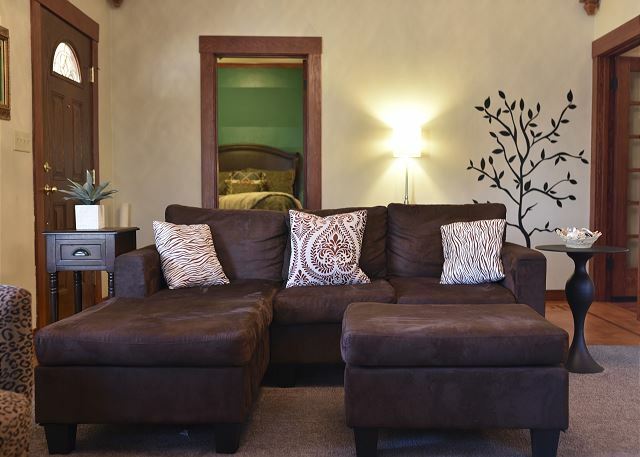 Thank you for taking a moment to rate your stay at Classy Craftsman Cottage! We appreciate our guests feedback and would love to have you back again. Please look us up at Redwood Coast Vacation Rentals when planning your next trip to the North Coast! I rented this property while visiting my son and 2 granddaughters. We also stayed here last Thanksgiving. Great property...well stocked, clean, convenient location-walking distance to town center, grocery store, and restaurants. Will return again next time I'm in town. Happy to hear you enjoyed your stay and will be returning for the third time! 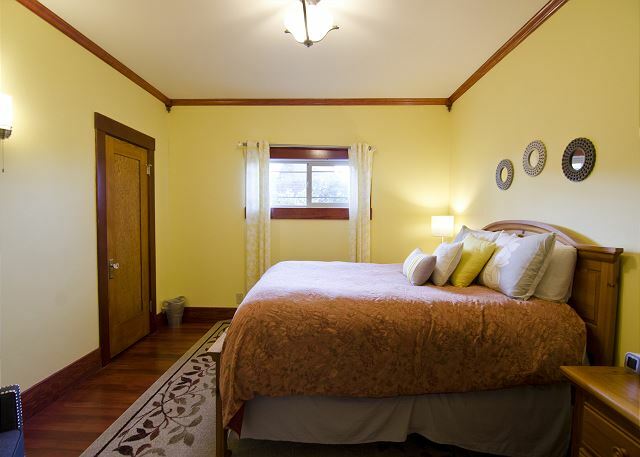 It is very conveniently located, walking distance to everything downtown Arcata has to offer. Thanks for leaving a review, and we look forward to having you back soon to Classy Craftsman! Our family had a very nice stay at this beautiful craftsman home near HSU. 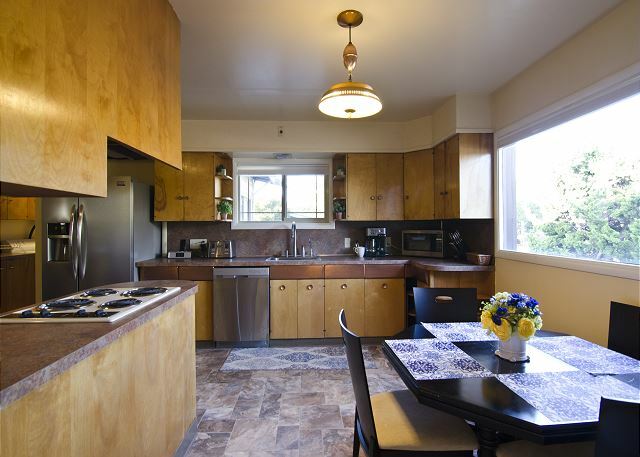 It is super convenient to campus and in walking distance to the square, HSU, groceries, etc. The home is clean and has beautiful updates. We really enjoyed our time there. Thank you for the review of Classic Craftsman, we would love to have you back again soon! Look us up at Redwood Coast Vacation Rentals when planning your next trip to the North Coast, with over 100+ properties, there is a place for everyone. Thanks again! We recently stayed here for 3 nights. 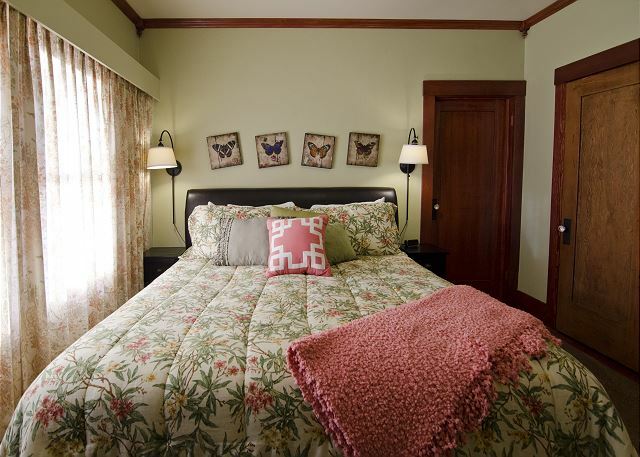 A nice experience to stay in an authentic craftsman house, with all the details. The kitchen was spacious and well equipped. Bedrooms all well done. Parking for two vehicles. Located in a residential area, only a block from a natural foods market. Recommend this house without hesitation! 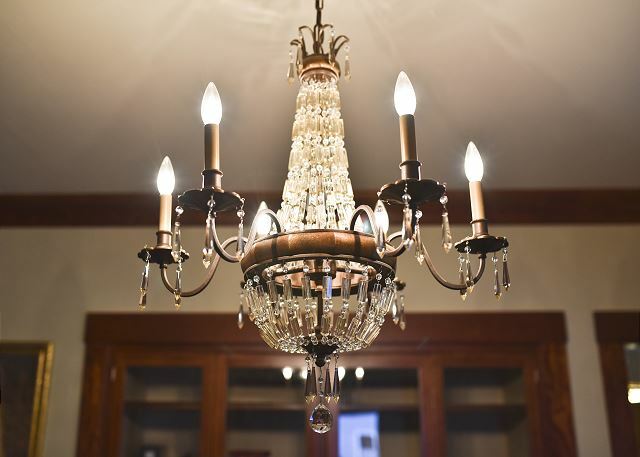 So glad to hear you loved your time at Classic Craftsman! The spa and sauna are also nice touches after a long day of exploring the redwoods. Please look us up at Redwood Coast Vacation Rentals when planning your next trip to the North Coast! Thanks for leaving your review and we look forward to having you back soon! Property is in a great location. We walked to Wildberries Market, Sushi Tao, Arcata Scoop and to the town square. We drove north to Prairie Creek and Jedidiah Smith Parks which were the highlight of the trip. The Arcata Community Forest was also a nice spot. Trinidad is beautiful. The portion of Hammond Coastal trail we walked, below Murray Rd, wasn’t great. The house was clean, had very comfortable beds and the kitchen had necessary items although lacking in spice variety and staples. 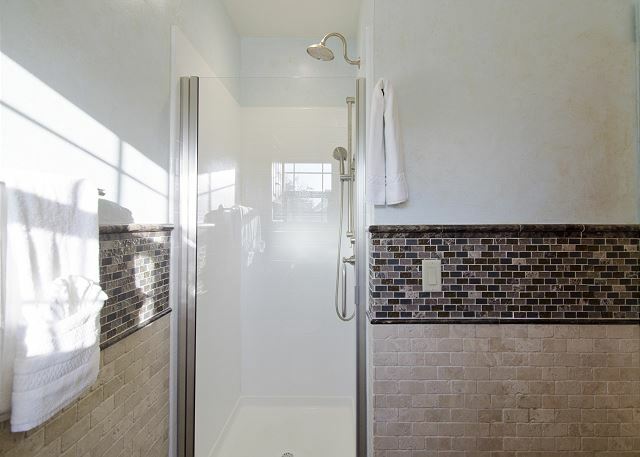 The master bath has a cool shower. Enjoyed the hot tub and sauna. Looks like a deck is being added which will be a very nice addition. Thank you so much for staying at the Classy Craftsman. We are so pleased to hear you loved the place. It really has a big following, folks love it! We look forward to your return. Thank you so much! Classy Craftsman is booked ALL the time and it shows why. See you next time! You'll love the architectural details and older home quirks. Bathrooms are updated and tasteful. The sauna is a very nice extra. Close to stores and restaurants. The corner on which it is located is a bit busy, so a light sleeper should choose another bedroom. Thanks so much for taking time to leave a review of Classy Craftsman. What a beauty she is! And perfect for a large family gathering, or large group of friends. We would love to have you back again anytime, please look us up at Redwood Coast Vacation Rentals when planning your next trip to the North Coast! I used to live in Arcata and this house is truly one of a kind. 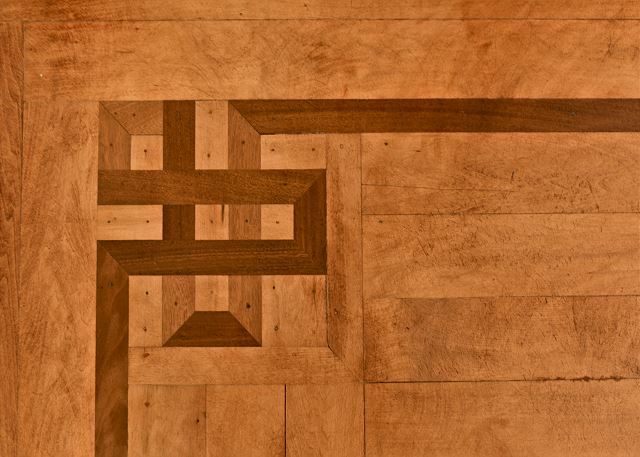 The attention to detail in the house makes it feel very homey. Location is superb an ease of renting was a very nice bonus! Great for a weekend getaway with family. Great to hear, we love when our guests are totally satisfied with all areas of their stay, which it looks like you were! We look forward to having you back again soon, please look us up at Redwood Coast Vacation Rentals when planning your next trip to the North Coast! This house is very warm and friendly. It is much bigger than we thought it would be and wonderfully maintained. It is close to the Redwoods - both the North and South, and also close to the town square. Thanks so much for your review! 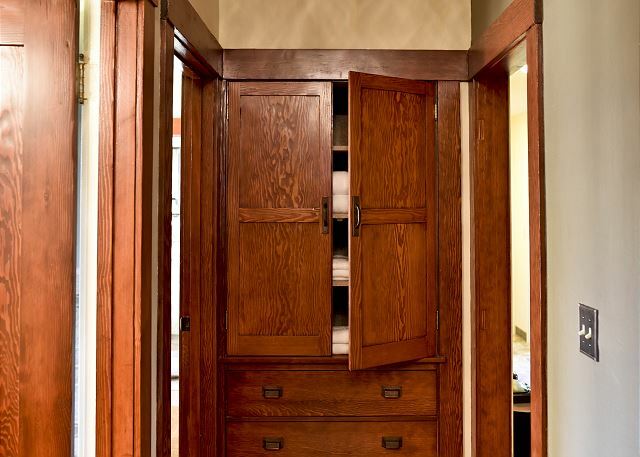 We agree with you, Classic Craftsman is beautifully maintained, with lots of wood detailing throughout the home, as well as being very inviting and cozy. With a spa and sauna, you'll never want to leave home, but it's such a magical place to explore, places like Fern Canyon, that feel ancient and secret. We look forward to having you back again, look us up online when booking your next vacation to the North Coast! 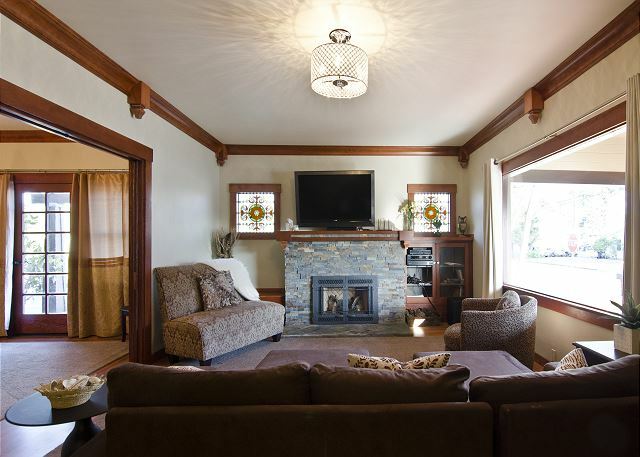 This is a pristine bungalow in Arcata. Very well maintained and clean. Central location. Loved it. Glad to hear you enjoyed Classic Craftsman! It is indeed located beautifully,with 3 bedrooms for larger families, or just a lot of friends looking to share accommodations. The sauna and spa are such an added bonus, for those evenings returning from exploring the forests and beaches that we have in abundance here. Voted the #1 destination for 2018 by Lonely Planet, we are happy to agree with them. Please come back soon, we look forward to having you back at Classic Craftsman again soon! Thanks for taking a moment to review Classy Craftsman, feedback from guests is really important to us here at Redwood Coast Vacation Rentals. It's a great home for a large family, or maybe a few couples looking to share an accomodation for vacation. The spa and sauna are perfect for unwinding after a day of exploring. Please come back soon, visit us at Redwood Coast Vacation Rentals when planning your next trip to the North Coast! We really enjoyed this rental location. Between, Oct 2017 - November 2017, we experienced two different family losses. Christmas and New Year would be different for the holiday's. My husband and I decided to continue with our plans and invited other family members to join us. It was the best decision. We brought games, but to our surprised, there were plenty of games that was available on cite to play. We reminisced, cried and uncontrollably laughed. A huge remedy needed for our souls. We enjoyed relaxing in the sauna and hot tub. We watched the ball drop in New York, on the location channel, but spent the majority watching under the fire place movies on Netflix. The home is very clean, well stocked, warm, inviting, and easy to find. When I returned home, I purchased the same set of pots, because they worked so well. We will treasure this vacation for a life-time. Will definitely rent it again, if ever in the area again. Wow, what a heart warming review, definitely one of the most moving I've ever read. We are so happy that the home provided a space for your family to come together and spend the holidays making great memories to last a lifetime. I'm very moved by your words. Thank you so very much for sharing with us your experience, and please do not hesitate to look us up at Redwood Coast Vacation Rentals the next time your visiting the North Coast, as we would love to have you back.Here's to a very Happy New Year! Beautiful & cozy, perfect for a family with great location. Spa & sauna were a super bonus! Would definitely stay here again. 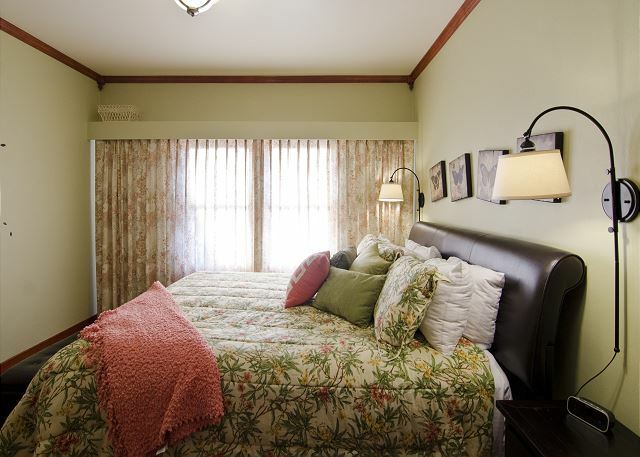 We would love to have you back to Classy Craftsman soon, so happy to hear you enjoyed all the home has to offer! Being located in the heart of Arcata, yet being just a short walk to beautiful trails at Redwood Park, makes this home special. Please look us up at Redwood Coast Vacation Rentals when planning your next trip to Arcata! Great house in a great location. 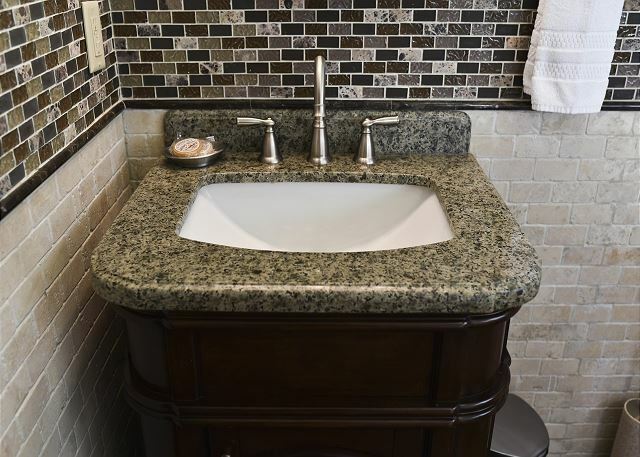 The only suggestion I would have to improve the experience is to add to the counter space in the master bathroom; maybe a small table next to the sink. Also, the on-line description of the property says they have "cable TV". While that is technically accurate, they only provide basic reception (CBS, NBC, ABC, Fox and a couple local channels) in standard definition only. Had I known that before I rented, I probably would have chosen a different rental property to better accommodate our personal preference. However, if that is not a "deal breaker" for you, this is a beautiful, well appointed, comfortable home that I would highly recommend to those visiting the area. Thank you so much for staying with us at Classy Craftsman! We are looking into a better cable package. We appreciate the nice review, yes, the place is gorgeous! My husband and I rented this place with my son and granddaughters for the Thanksgiving holiday. It was perfect. The house was clean, comfortable, and plenty of room for 5 people. The kitchen was well stocked-I was able to cook Thanksgiving dinner and all the pots, pans, and utensils I needed were there. 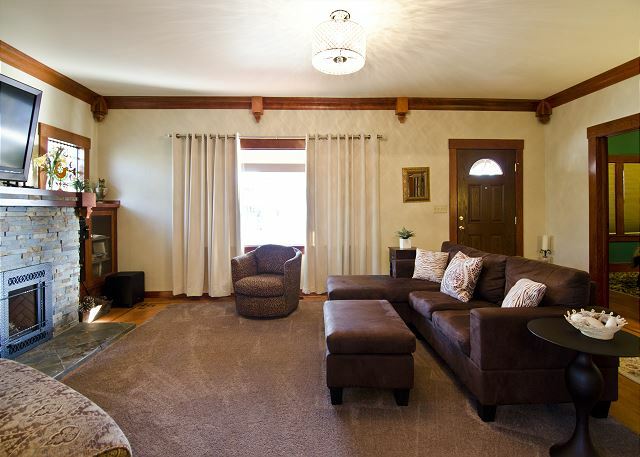 The house has on or off street parking, and is within walking distance to downtown Arcata. 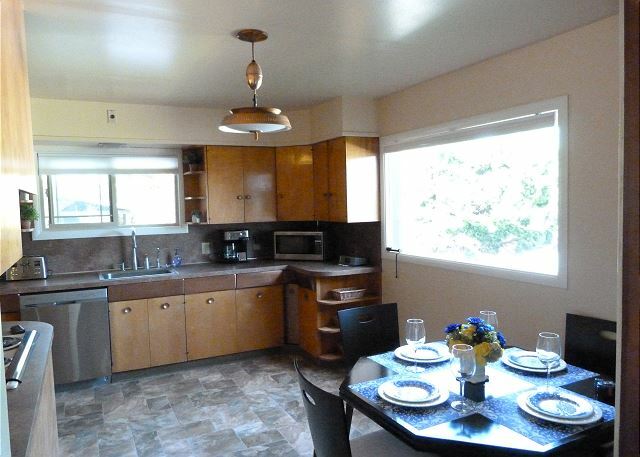 There was a table in the kitchen for breakfasts and a spacious dining room for dinners. The beds were comfortable and linens and towels were provided. We didn’t use the sauna or hot tub. Both looked clean but we just didn’t get a chance. 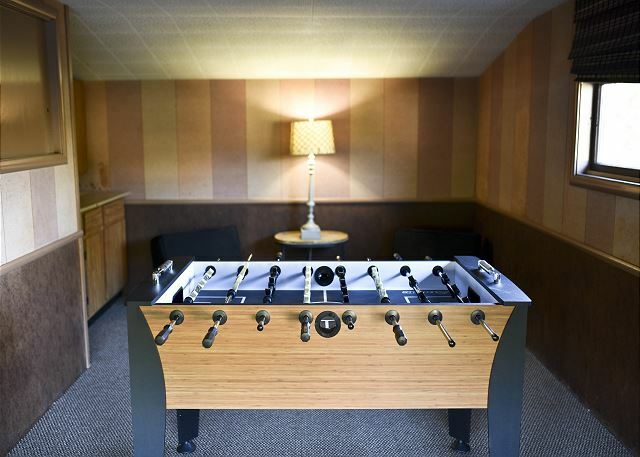 There was a separate ‘game room’ for the kids (and adults) with foosball (so?). The house is in a residential area and Arcata has some ‘interesting characters ‘ but we all felt safe. We would definitely stay here again! Thank you so much for taking time to leave such a through review of Classy Craftsman! We would love to have you back anytime, it sounds like you've found the perfect home to stay at the next time your back with us on the North Coast. We are constantly striving for the best vacation experience possible for our guests. I recommend experiencing the hot tub and sauna on your next visit, such a great way to end the day after exploring all the beautiful North Coast has to offer. Thanks again for leaving your review, please look us up at Redwood Coast Vacation Rentals when booking your next stay. It was absolutely perfect. The beds were comfortable, the porch was fabulous, the spa/sauna were wonderful, and the bathrooms were beautiful. I seriously want to move into this house! Also, the app with the details for the workings of the house was so beneficial! The only improvement I would make is to make the fireplace a little more powerful. We loved going to Wildberries for coffee, Tomo for sushi, the plaza for the farmer's market, Japhy's for lunch, and Bubbles for scented perfumes. Thank you for taking time to leave a review of your stay at Classic Craftsman! 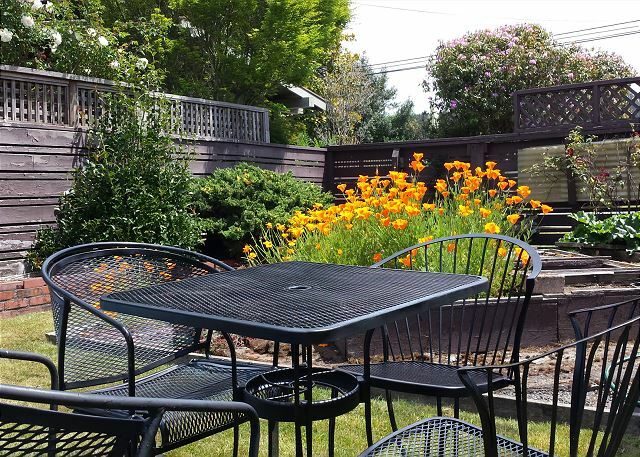 Sounds like you found plenty of places to enjoy during your stay, it's located right in the heart of Arcata, so walking is a great option for getting a cup of coffee and a bite to eat. And there's plenty of cookware if you are inclined to stay in and make a home cooked meal. It's just a short walk to Redwood Park right there in Arcata, with beautiful trails to explore. We would love to have you back, so please look us up at Redwood Coast Vacation Rentals when planning your next trip to the North Coast! This home os like visiting a friend's home - it's clean, all the conveniences are there, it's very well maintained. The hot tub and sauna were welcome bonuses. One unexpected bonus was the great picture window view of the street where all sorts of interesting people passed on their way to campus or the downtown square. Arcata has the best people watching! We almost stayed in Eureka but a travel book recommended Arcata and I am glad we chose this location and house. The property managers were very helpful and accessible. Thanks for leaving a review of Classy Craftsman. So happy to hear you enjoyed all the property has to offer, and found a good fit for your vacation. We look forward to having you back again soon! Please visit us at Redwood Coast Vacation Rentals when booking your next stay at Classy Craftsman, and thanks again for leaving a review! The Classy Craftsman was a very nice vacation rental. It is located in a great area. You can walk to many restaurants and the grocery store is very close. A movie theatre is also within walking distance. It is spacious and very nice. We thoroughly enjoyed our stay. We plan to stay here again when we visit Arcata. Wonderful to hear! So glad you had a great time at Classy Craftsman! We look forward to having you back again. It's perfectly located, and has plenty of space to accommodate a large grop. The hot tub and sauna are a wonderful amenity as well! 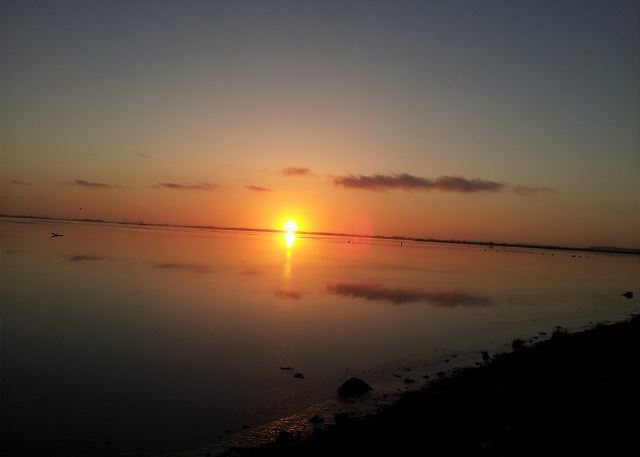 Please come back soon, and visit us at Redwood Coast Vacation Rentals when planning your trip. Thanks again! 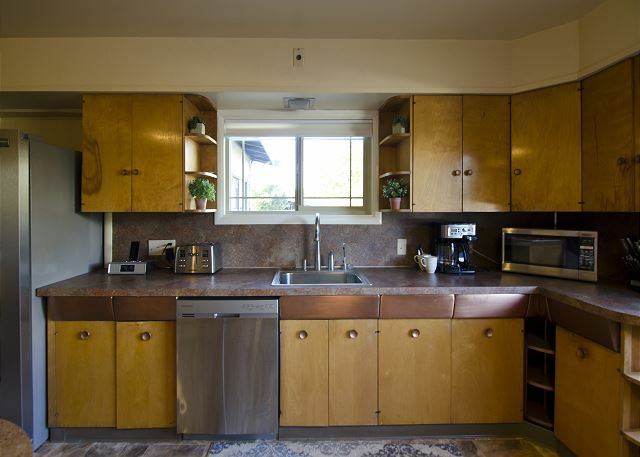 Everything about the home was just perfect - lots of space, beautifully furnished, well-stocked kitchen, and a hot tub! Thanks for taking time to leave a review of Classic Craftsman. Situated right in downtown Arcata, there's plenty of things to do, as well as it being a short car ride away to beautiful Redwood forests to explore. Coming in from a long day of sightseeing to soak in the hot tub, is just heaven. We're really looking forward to your return to Classic Craftsman, and remember to visit Redwood Coast Vacation Rentals for all your rental needs on the North Coast! We really enjoyed our stay at the Classy Craftsman in Arcata, California. The reasons we chose this spot were both the size and the location. We had several family members meeting in the area that week and we needed a big enough kitchen and dinning room for family cooking. Entertaining a group in the Classy Craftsman was almost like entertaining in our own home. The house is in a fantastic location. It is just a couple of blocks from downtown. 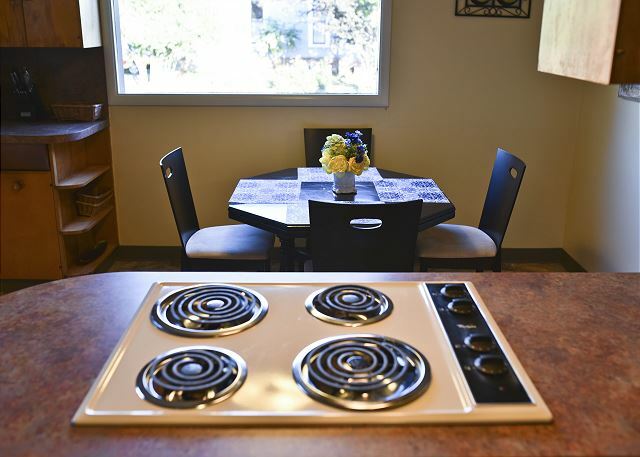 Humboldt State University and the Arcata Redwood forest are a short walk away. If you are interested in going up the coast to Moonstone beach or any of the other great coastal locations the 101 is an easy drive too. 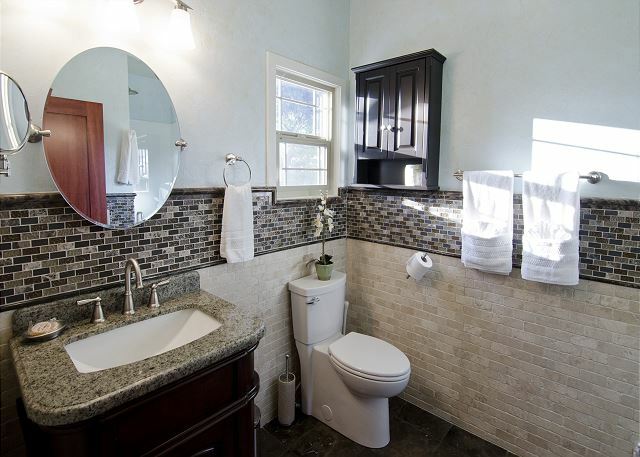 The house was clearly built with attention to detail and has been well maintained. We stayed in this house last year on a visit to the area and will definitely stay there again. Thank you, thank you!! We so appreciate you coming back to Classy Craftsman. It is such gorgeous house in the perfect location. We look forward to your return to Redwood Coast Vacation Rentals, a 100+ accommodation company! Beautiful home in excellent condition. 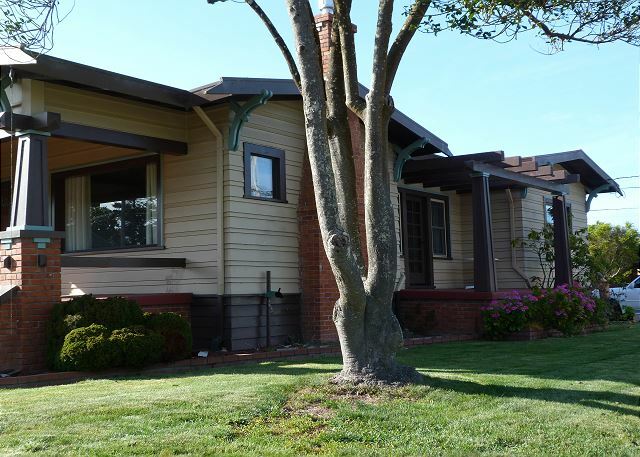 House is a short walk to HSU and the plaza area of Arcata. Home itself was lovely with comfortable beds and remodeled bathrooms. We enjoyed our stay however future renters should be aware that it is located at a very busy intersection with constant traffic noise. The TV was difficult to work and frustrating at times despite directions that were provided. Thank you so much for staying with us at Classy Craftsman. We appreciate the review. 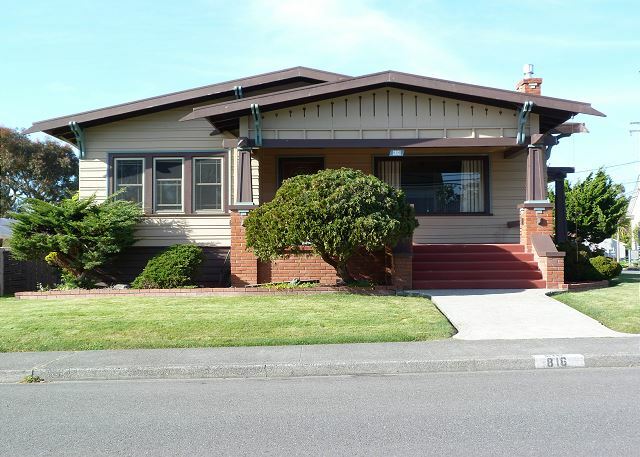 Yes, this home is in a great location, right in the heart of Arcata, walking distance to everything. Redwood Coast Vacation Rentals has plenty of accommodations to choose from, we are so pleased to hear this one was a good fit for you and many others. Thank You! Our time in the Classy Craftsman was like a taste of Paradise. My daughter and I came to visit my granddaughter attending Humboldt and never expected such an amazing vacation. 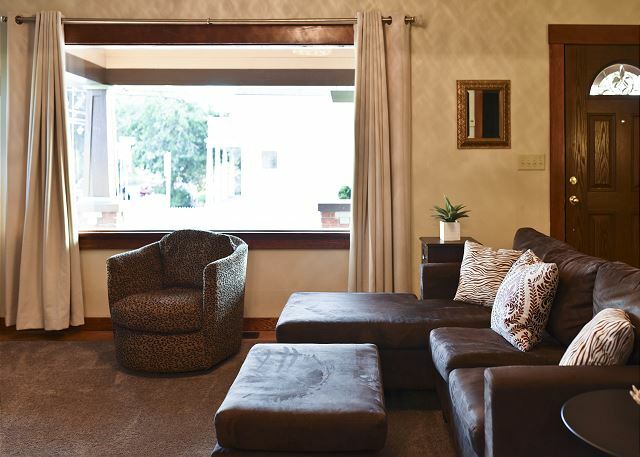 Everything you need to make your stay a memorable one is found in this rental. It was so comfortable and heavenly. 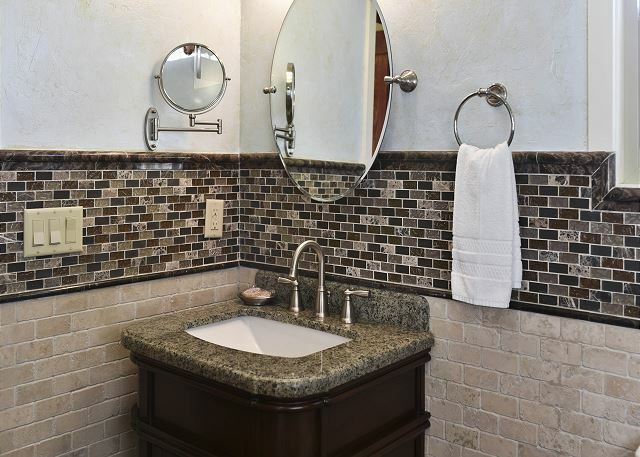 The exquisite decor and the amenities are a plus, along with the welcoming spa and sauna. Jesse, the project manager was a delight. He was always available to answer questions and followed through. Thank you Jesse for ensuring that our stay was sensational. This will definitely be our home away from home in our future visits to Humboldt. We really enjoyed the classy craftsman home in Arcata. We stayed here in February and the weather was not cooperating so we ended up spending quite a bit of time in the house. The house had everything to make us feel at home, there were only two of us on this trip and the house had more than enough space for our needs. Clean, comfortable, and great location to downtown. I would recommend this property for anyone needing to stay in Arcata. Thank you so much for coming to stay with us at Classy Craftsman. This place is just so amazing. The location, aesthetic, and general feel of the place is perfect. Thank for taking the time to recognize this in your review. We look forward to your return!! We had a great time at the classy craftsman. There was plenty of space for all five of us to hang out separately, be in the living room all together, or eat in the lovely dining room. We were often in the groovy 50's kitchen together without tripping over each other. The beds were very comfortable, huge closets a plus. 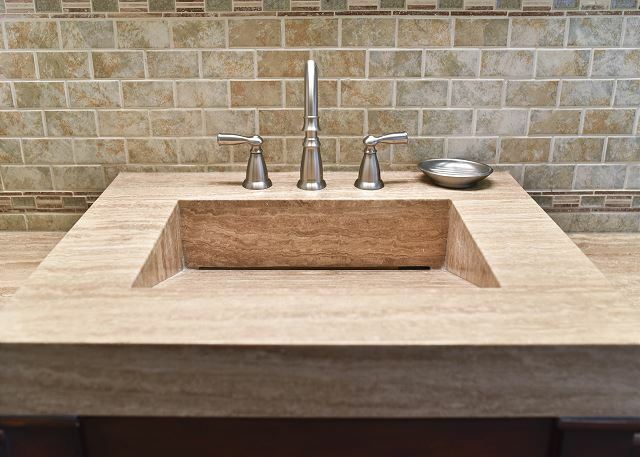 Baths were spacious and nicely appointed. Everything worked well. The accommodations were clean, orderly, recently updated and pleasant. Being so close to town was a plus without noise being an issue. The hot tub and sauna were appreciated after long, cold winter hikes. Classy Craftsman is such an awesome accommodation, everyone just loves it. Perfect location, excellent aesthetic, and truly at home feeling. Thank you for writing this review, and thank you for coming to stay with us! Our family enjoyed our stay over Thanksgiving. We particularly liked how spacious the home was and that we could gather in different rooms and relax and chat in the kitchen, dining, or living rooms. Nice hot tub and a new sauna were fun. Really liked the great proximity to quaint neighborhoods and the downtown just a few minutes walk from the home. Very enjoyable! Thank you so much for choosing to spend your Thanksgiving with us at Classy Craftsman! We are pleased to hear you enjoyed your visit, your home, and holiday. We appreciate the nice review and look forward to your return. Thanks you! We were up to see our daughter at HSU and had friends with us, so decided to gat a house rather than hotel. Turned out to be an excellent choice with this house which was proximate to HSU, stores, and pubs. The house itself had everything we needed and it is my Craftsman style homes are my favorite design. Thank you so much! 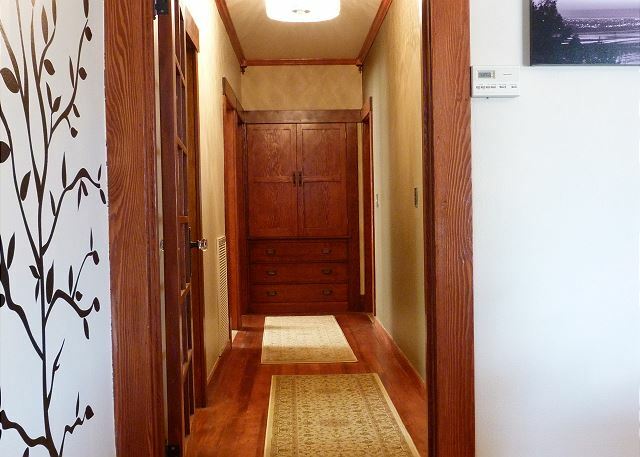 Craftsmans are my favorite too... Classy Craftsman is such an amazing home. Every just loves as you did. Thank you so much for staying and taking the time to write this review. Amazing and beautiful home in the heart of Arcata! We loved this beautiful craftsman home in the heart of Arcata--walking distance to the square, all the restaurants, bars, bookstores, ice cream, etc, and it was a wonderful place to call home during our week in the Redwoods. Plush beds made for very restful sleep and a well appointed and spacious kitchen made a great place for preparing and enjoying meals. There is even a hot tub and sauna downstairs, though we did not use them during our stay this time. It was just two of us on this visit but this house would be perfect for a group of friends/couples or one or two families as it has a number of spaces to relax and spread out. We will definitely be back! A special note that we were very impressed with Redwood Coast Vacation Rentals. When we had questions they were very attentive, professional, and helpful. And we kept noticing beautiful properties with their sign all around the area during our week in Humboldt county. I would recommend using them in the future! Oh.. Thanks so much. It was so nice having you as our guest at Classy Craftsman of Arcata. It is such an awesome home, everyone just loves it. We look forward to your next stay with us. Safe Travels! Very nice house. Good location, close to grocery store and downtown. Plenty of room. 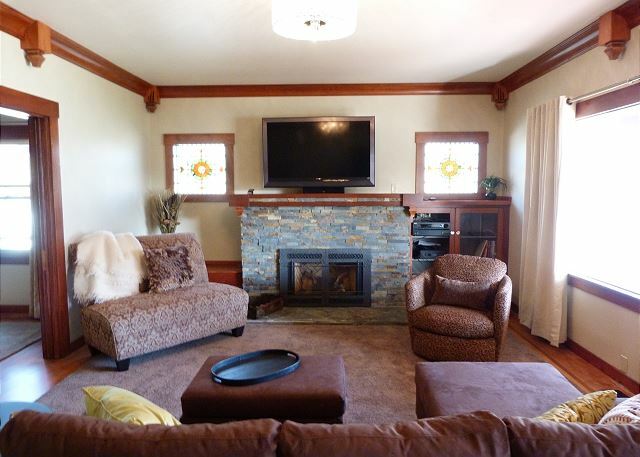 Classy Craftsman of Arcata is such a gorgeous home, everyone just loves that house. Thank you for taking the time to write this review. We look forward to your return! This house is so beautiful on the inside, and is within a short walk of the square, groceries, brewery, coffe and bagel place...Loved every minute and can't wait to go back! We had a wonderful weekend at the Classy Craftsman during Oyster Festival. The location is amazing - just a short walk to the Plaza but away from the crowds, and our favorite store, Wildberries, is a block away. We loved sitting on the side porch, watching the life of Arcata walk and drive by. 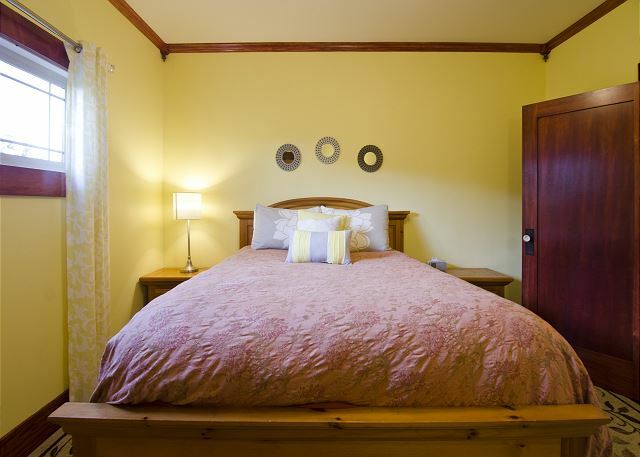 The house is beautiful, with plenty of room for a variety of activities, while offering privacy for resting or sleeping. We enjoyed the lovely back yard, and relaxed in the sauna and hot tub. 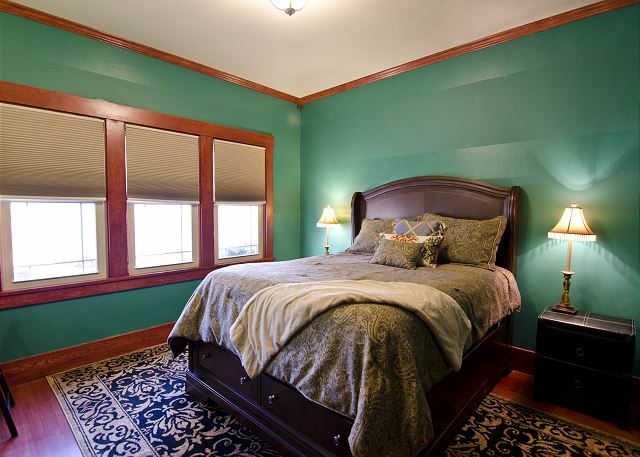 Arcata is one of our favorite places to visit, and we’ll definitely stay at the Classy Craftsman again. It was just perfect! Thank you, thank you!! Classy Craftsman is such an awesome accommodation. The owners took great care in restoring it's beauty. We are so please to hear you love your stay and look forward to your return! Fantastic location, great house, great yard. Really an excellent vacation rental. Hot tub, sauna, large yard with BBQ grill. Perfect central Arcata location. Everything about this house was great. The house is quite large, with 3 big bedrooms, 2 spacious bath, a living room, formal dining room, big kitchen, playroom with a foosball table, sun room that has been converted to hold the hot tub and suana. Plus there is a nice front porch to spend time on and a patio table in the backyard. The house was very clean, well stocked and in a great location. We were just one block from a grocery store and just 3 blocks from almost any restaurant you could want to go to. I can't say enough good things about our stay. Also, I had a few questions prior to our staff and the staff were helpful and easy to reach. The only tiny details that came up in our stay was that the TV does not have cable (one of our party wanted to watch the NBA playoffs)(but there is huge TV with basic channels and a DVD player) and the oven looks like it might be hard to cook a complex meal in - it's clearly original to the house and very unique in that it is pink and built into a wall. Five Star rating for this vacation rental. We were visiting my granddaughter at HSU and it couldn't have been a better fit. The university was a 5 minute walk, the town, grocery store and park also in walking distance. The house was perfect. 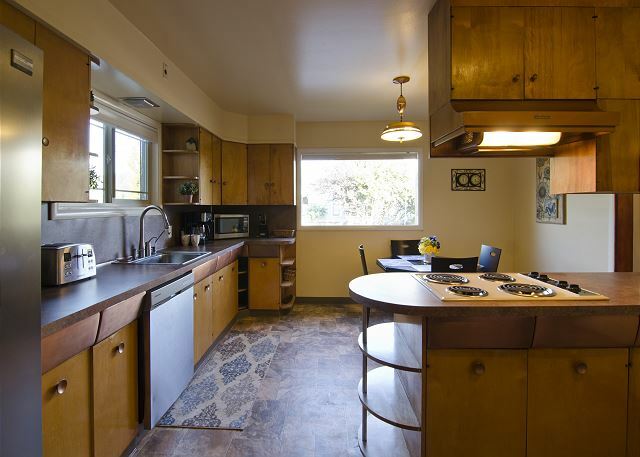 We cooked in every night and the kitchen was very well equipped as was the barbecue.The game room and Jacuzzi were welcome spots for my 10 and 6 year old grandsons.The house was a beautiful craftsman and made for a comfortable stay. We will absolutely return. Thank you so much! We appreciate you coming to stay at Classy Craftsman of Arcata. Everyone loves this house!! We look forward to your return to the Redwood Coast. Thank you for staying with us at Classy Craftsman. We appreciate you coming to stay and taking the time to write this review. Everyone just loves this place! We look forward to your return! Great house for whole family. We loved staying at the Classy Craftsman and will definitely make it our first choice on upcoming trips to Arcata. The house was clean, spacious, and had a great location for walking to town and campus. Thank you! Thank you! 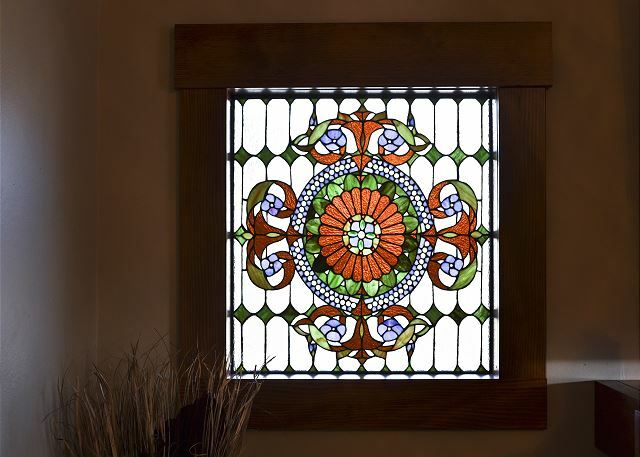 Classy Craftsman of Arcata is crowd favorite. People love as you did. We look forward to your return! We loved staying in this historical craftsman home. When the house was restored/remodeled a lot of little things from the past owners were left in place such as the hand written labels on the can cupboard and recipe/homemaking articles still taped in the cupboards. It made it feel like I was staying in my grandmother's home. Super fun. Classy Craftsman is really an awesome place. We love it! Thank you so much for choosing it for your holiday season. We look forward to you return!! Thank you! The house is beautiful. We had a few things that needed attention, but we managed. I notified the property manager prior to our leaving of those problems so they could be fixed. The location is wonderful. It was everything we were hoping for and more. Thank you for staying with us at Classy Craftsman in Arcata. I appreciate you letting me know about the minor issues, I was able to get them fixed the day you left, thank you! We look forward to your return to the Redwood Coast! This location worked out just perfect very close to HSU and Eureka. The house inside is great has everything you have at home. Updated bathrooms and relaxing beds and furniture plus a hot tub and sauna . Thank You so much for staying at Classy Craftsman in Arcata. This house is absolutely my (and many other folks) favorite Craftsman In Arcata. It's perfect for and HSU student Redwood Coast excursion. We look forward to your return! 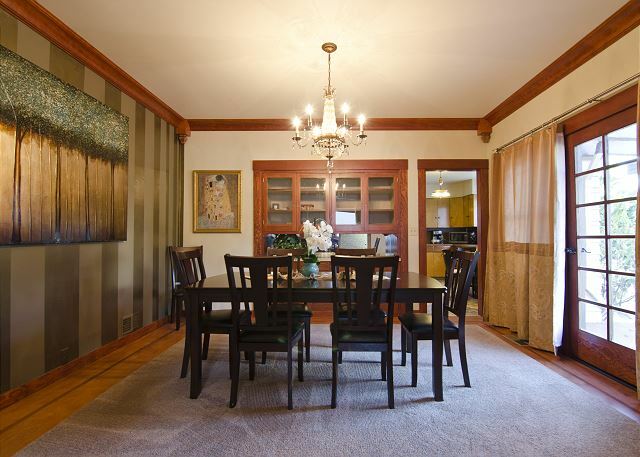 Classy Craftsman in Arcata is such a nice home with everything! Sauna, Jacuzzi, BBQ, Foosball, new furnishing, and a Classy Craftsman Aesthetic. Thank you! !